By combining forces, Fuzion4 now offer a coverage wider than ever before, ensuring reliability and exceptional response times to call outs. "Talk to skilled experts in the trade"
For over 25 years Be Sure Security Systems have been providing complete fire and security services within both the residential and commercial sectors. Offering sophisticated and reliable fire and security systems to domestic clients within their own homes and also to government departments, hospital trusts, local authorities, small and large businesses and residential homes, we are able to meet your needs, whatever they maybe. Our in-depth knowledge of all available fire and security systems ensures we recommend exactly the right system to match your requirements - and your budget. We offer our expert fire and security design, installation and maintenance services throughout East Sussex, Kent and parts of Surrey. NSI Gold approved, BAFE registered installers. With our NSI Gold Approval for security systems and BAFE Approval for fire systems, BeSure Security Systems are recognised by the Police Authority and all Insurance Companies. We have successfully carried out major installations for Hospital Trusts, the MOD, Police Authorities and Utility Companies. Serving the the whole of Sussex, Surrey, Kent and South London, our Head Office is based in St Leonards (Nr.Hastings), East Sussex, with Branches in Maidstone, Kent and Haywards Heath in West Sussex. 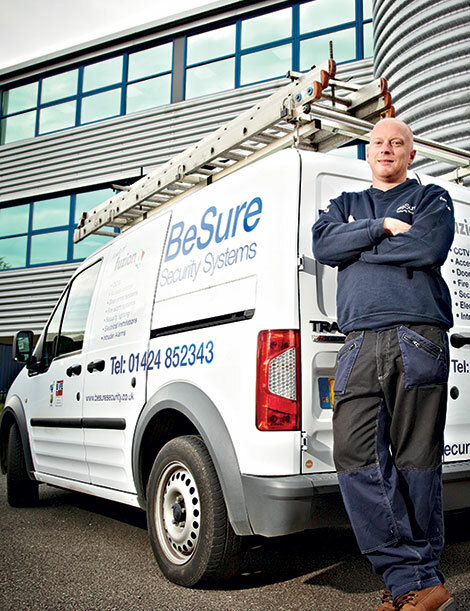 "A company you can rely on"
By choosing a BAFE registered fire company such as our team here at BeSure, you can be assured that all the products and services we provide conform to recognised standards within the industry. 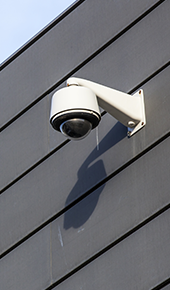 For over 25 years Be Sure Security Systems have been providing complete fire and security services within both the residential and commercial sectors. BeSure is a division of the Fuzion4 Group. The company has four directors Geoff Padgham, Andre Keen, Russ Keen and Kevin Swaffer, as seen above. 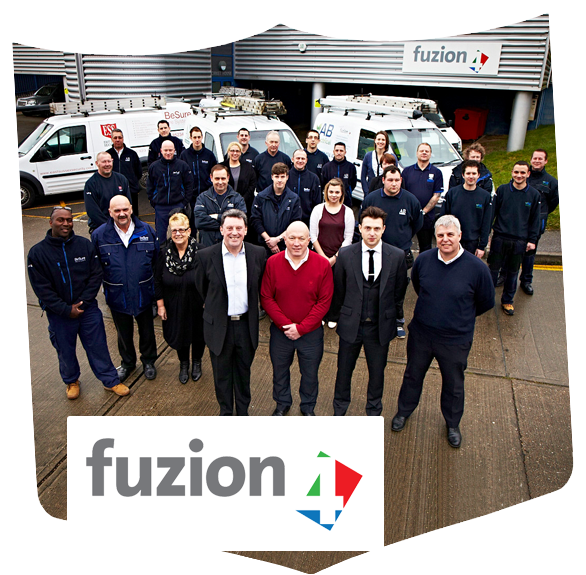 Each of the five company divisions of the Fuzion4 Group, trade at least semi-independently, which allows us to offer a wider selection of services across East Sussex and the surrounding areas.